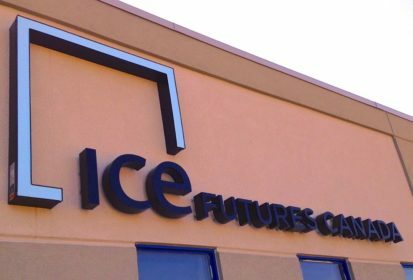 CNS Canada — ICE Futures Canada canola futures fell sharply lower during the week ended Wednesday, but could still have more room to the downside as the oilseed remains overpriced compared to the slumping U.S. soybean market. Mounting trade tensions between the U.S. and China led to a selloff in Chicago Board of Trade (CBOT) soybeans during the week, with speculative selling also spilling into the canola market. While speculators may be spooked for the time being, “the fact that there’s a new round of trade threats is utterly irrelevant to the grain markets,” said Ken Ball of PI Financial in Winnipeg. November canola fell below the psychological $500 per tonne mark on Wednesday, with the next target at $490 per tonne, according to Ball. However, comparing the canola chart to the soybean chart, Ball said the possibility is there for even larger losses, as canola is still looking expensive relative to soybeans. In addition, while some areas of concern remain across the Prairies, the majority of the canola crop is in good shape. “It’s not perfect… but we have a decent canola crop here,” said Ball, adding that the harvest will likely start up within four weeks in some areas.